Explode your Strength and Conditioning Training this Christmas! The Christmas period can be one of the hardest parts of the year for training. The long nights, crisp freezing air and Boxes and Gyms closing for Christmas all seem to be working against your carefully programmed fitness goals. 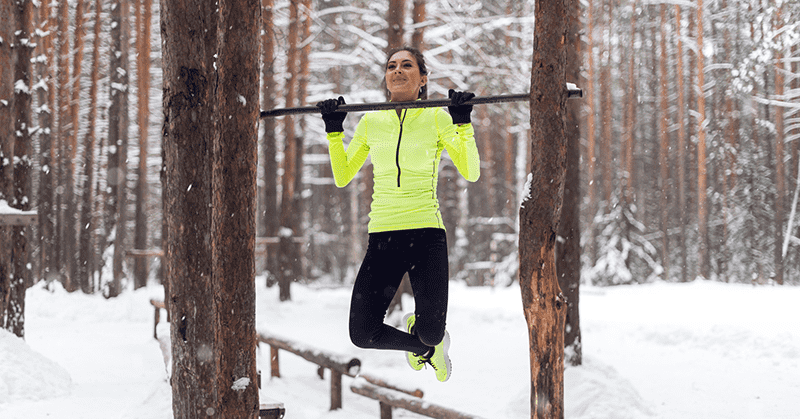 That’s not to mention that this time of year is the most common for people to expand their waistlines by eating too much, and the party season, although fun, tends to unravel even the most well intentioned training plans in the world. Additionally, Christmas is about family, and that means travel. To stay fit over this period you need flexible, fun and challenging workouts that you can do anywhere, at any time. This is where AnyUp steps in. 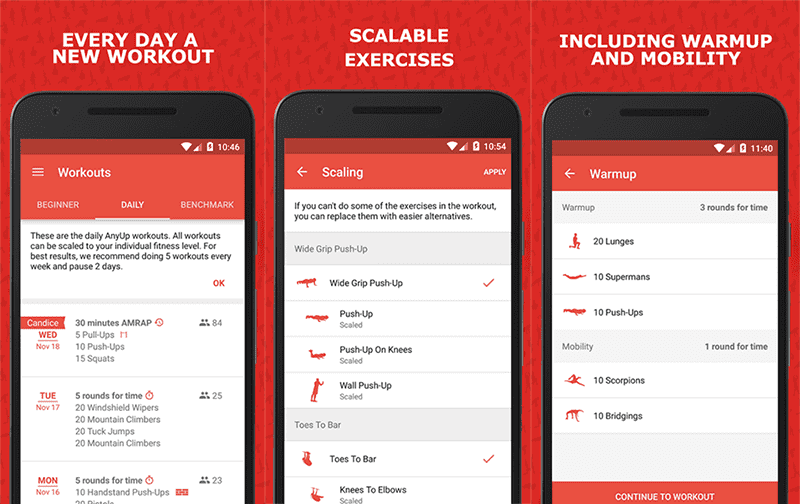 AnyUp is effectively a bodyweight training coach in your pocket. Their app provides a consistent stream of intelligently designed workouts that improve and maximize your athletic performances over time. They analysed hundreds of exercises and carefully selected the ones with the highest functional value. They provide you with one daily workout, giving you a perfect program for improving strength and conditioning, whilst being flexible enough to adapt to your schedule. AnyUp is also completely scalable, allowing it to be used by everyone from total beginner’s right through to experienced athletes. This will help you burst into the new-year feeling stronger, fitter and fresher, instead of worrying about how your trousers don’t fit anymore; you will be already on the way to achieving and smashing the goals that everyone else is frantically making at 11.55 pm on New Year’s Eve. Oh and in case you were wondering, it’s free. So there really is no excuse for anyone to pile on the Christmas pounds this year. 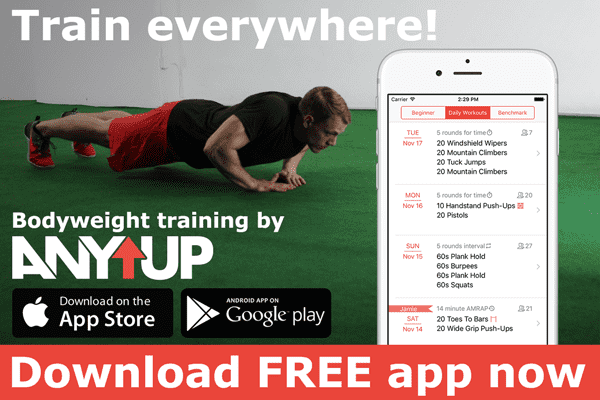 AnyUp provides one scalable workout and warm up every day. Already the challenge is beginning to make you eager to get into the WOD! You excuse yourself and find some space in the spare room / garage / garden etc, start pumping the music out and jump straight in! After completing the WOD, recording your time, showering and changing, you are already finished and feeling great, all in the same amount of time that it took everyone else to drink a glass of wine! Dinner awaits you, followed by a chilled out film night in your warm, atmospheric room with the snow and freezing weather outside. And it’s all the more enjoyable because you’ve earned it.